The Space will open with a launch party from 7 p.m. to 10 p.m. on October 22, and each month it’ll feature collaborations with four artists who will show their work on the walls and two designers who will display their Katz’s collabs on racks (Dell expects to announce the names on Monday). 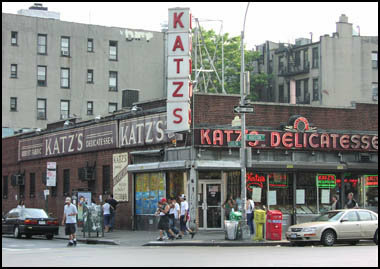 In addition, the usual Katz’s gear as well as the newly released Katz’s autobiography will be for sale. And speaking of the new Katz’s book, Dell will talk about it at The Strand on October 24.